Our Luxury Aromatherapy Shower Bomb Gift Set includes 12 of our best-selling shower bombs and made with 100% Essential Oil Blends. 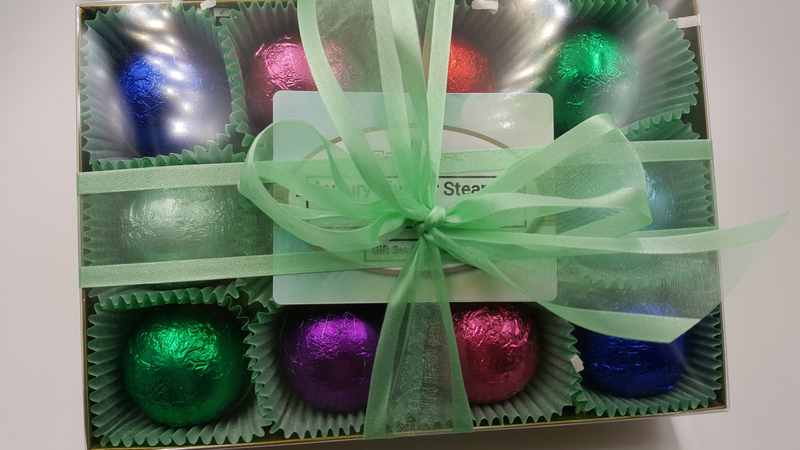 They are each individually wrapped in colorful foils to preserve freshness, are half sphere shaped and 1.6 oz each. Makes a beautiful gift presentation and an exceptionally nice gift for someone you want to pamper....teachers, mom, dad, friend, sister, brother. They are gift wrapped in a sturdy box with clear top. PREMIUM QUALITY - Made in the USA, Handmade by Spa Girl, natural and organic, superior value, luxury ingredients to moisturize your skin, gluten-free, cruelty-free (never tested on animals). 100% natural & organic made with essential oils blends, PERFECT GIFT IDEA. HEALTHY CHOICE - Made with ingredients that promote natural healing including essential oils and contain no artificial dyes to stain your tub. Enjoy each scent for their unique benefits and Aromatherapy Spa Experience.